Las Bahias de Huatulco (the Huatulco Bays), or Huatulco, is a beach destination made up of nine bays with 36 beaches. 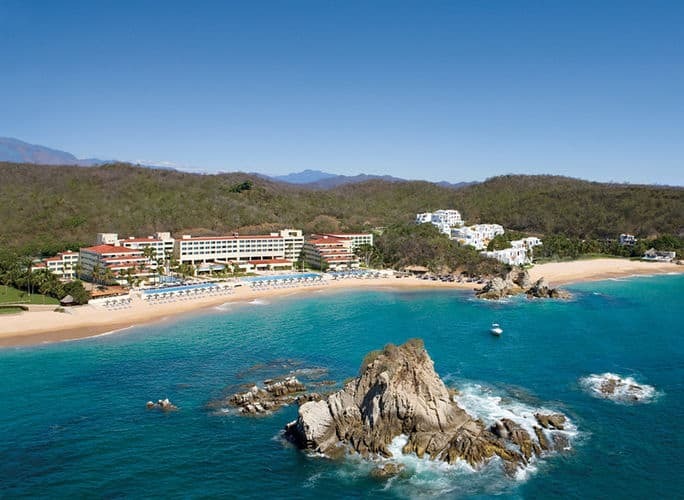 Huatulco is located on the Pacific coast of the state of Oaxaca. Huatulco stretches out over 22 miles of coastline between the Coyula and Copalito rivers. They boast 36 beautiful white-sang beaches. The biodiversity and pristine landscapes make Huatulco a favorite destination of nature lovers. 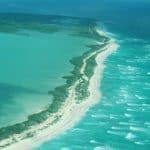 It has diverse activities like diving by its beautiful reefs, kayaking in its rapids and sport fishing. If you want something quieter, you can also take a horse ride. There are nine bays in Huatulco, and the area offers a variety of beach experiences. 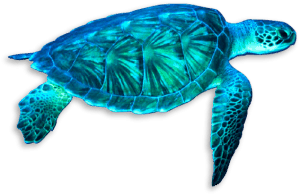 Most have blue-green water and the sand ranges from golden to white. Some of the beaches, such as Santa Cruz, la Entrega and El Arrocito have very gentle waves. Most of the development is centered around a few of the bays. Tangolunda is the largest of Huatulco’s bays, and is where most of Huatulco’s large resorts are located. Santa Cruz has a cruise ship port, marina, shops and restaurants. Some of the beaches are completely pristine and only accessible by boat. To learn more about all the beautiful beaches of the Mexican Riviera, visit here. Now view our Huatulco Travel Guide to help plan your next Mexican Riviera vacation! The year-round temperature average for Huatulco is 86 degrees F. From April through August, Huatulco has the highest temperatures, which hover in the low 90s. March and September have temperatures averaging in the high 80s. 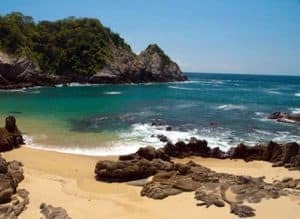 Travelers who want to avoid the heat might want to schedule their trip in the cooler months, November to February, when daytime temperatures average between 82 and 84 degrees F.
You will find heat and humidity throughout the year in Huatulco. They enjoy 300 days of sun yearly. The rainy season runs from May/June through September/October, with higher humidity levels. The area has monsoon-style rains, usually in the afternoons, and cooler evenings. September is the rainiest month, with an average of more than 7.5 inches of rainfall. December, January and February bring the coolest nighttime temperatures, which fall to the mid- and lower 60s. October through February are the driest, sunniest and most pleasant months in which to visit Huatulco when tourists enjoy the balmy temperatures in the 70s. Avoid the rainy season from June through September when humidity is high, average temperatures are in the mid-80s, and most of the 40 annual rain days occur. September is the wettest month, so if you arrive in October, the flowers will still be in bloom. As of 2010, crime and violence are described as serious problems in Mexico. A travel warning exists for Mexico, which has become a particularly dangerous country for travel for Americans due to an increase in drug gang activity, including impersonating police and military personnel, kidnappings, gun battles and murders. The U.S. Department of State warns travelers to be wary of bus travel from Acapulco to Huatulco, as armed robberies and hijackings have occurred. Travelers are advised to take only first-class buses and only travel during daylight hours. Travelers should expect the possibility of military or law enforcement checkpoints along roadways. To fly to Huatulco from the United States or Canada, you will need a valid passport. All visitors must also get a tourist card. If you’re arriving by plane from the United States or Canada, the standard tourist card will be given to you on the plane. They’re also available through travel agents and Mexican consulates and at the border if you’re entering by land. The safest way to travel to Huatulco is by air, flying into Huatulco International Airport. There are generally two main gateways to the Huatulco international airport; through Houston from the US/Canada and Mexico City (D.F.) from Mexico. Upon arriving in paradise, the taxi has to be the easiest and most cost effective way to get around. There are so many taxis that you don’t have to worry about going to a taxi stand. Simply standing at the side of the road where you are and waiving for a taxi should be sufficient…and you won’t have to wait long. All taxi rates are set in advance based on distance and most local trips should cost you anywhere between $20-$50 pesos. Once you start to stray outside the immediate town expect to barter with your driver on the cost to take you to a destination. 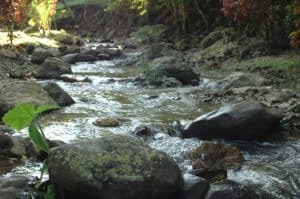 This agro-ecological reserve is located about 40 minutes into the mountains from La Crucecita, the center of Huatulco, and is one of the area’s most popular daytrips. Walk along the riverside trail lined with tropical flowering plants and finish with a swim beneath the waterfall. The land is also home to an organic fruit grove and plenty of birds and butterflies. Guests can explore the land independently, but the tours are highly recommended. Tours last a few hours, are offered in English and include breakfast, and lots of fruit samples. This pre-Hispanic site is located just north of Huatulco’s La Bocana village. In comparison to other ruins in Mexico, it’s a tad underwhelming, but it is the only archaeological site around and definitely worth a visit. Those interested in Mayan history will appreciate the small museum, the ball court and two small temples that have so far been excavated. There’s also a short jungle trek to a cliff side lookout with a great view of the ocean. 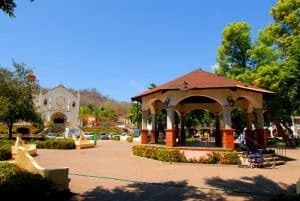 La Crucecita is the main town and business centre of Huatulco and is a perfect daytrip for boutique shopping, relaxing at sidewalk cafes and sampling authentic Oaxacan cuisine. Walk around the main square and the town’s bustling market to try mezcal, mole and fried grasshoppers before checking out the Museum of Oaxacan Crafts where it’s possible to buy crafts including decorative masks, sculptures, pottery and colorful textiles. 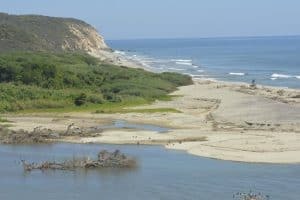 Out of all the bays, San Agustin is the hardest to get to, the least developed and considered the most stunning, perhaps even one of the most beautiful beaches in Mexico. Located at the far west end of Huatulco, this beach gives visitors an idea of what the rest of Huatulco once looked like before the tourism boom began. There are no resorts or fancy hotels, just a few seafood shacks and relaxed, friendly villagers. Visitors can spend the day relaxing on the pristine white sand beach surrounded by rocky islands and towering cliffs. The water is warm, clear and gentle and there’s excellent snorkeling just a short swim from the shore. Pilo operates tours of the Huatulco area including the 9 bays of Huatulco. His boat has room for groups of up to 10 people. 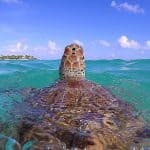 He offers tours lasting from a few hours to all day and will provide refreshments for you as we watch dolphins, sea turtles and even whales. He also offers sport fishing tours, snorkeling and waterfall tours. For more information call 52-958-106-8337, or visit them on the web at Pilo Vazquez – Huatulco Tour Guide. Huatulco Dive Center as a PADI Resort offer you scuba diving courses from beginners until professional level, diving trips, snorkeling trips, bays tour. Let their PADI Instructors guide you in the great scuba dive world of the Mexican Pacific Ocean on board the 33 feet boat “MAKO” perfectly equipped, organized and comfortable for diving/snorkeling/touring. For more information call 52-958-583-4295 or visit them on the web at Huatulco Dive Center. 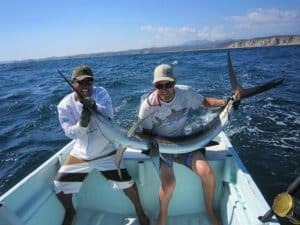 White Shark Sport Fishing & Tours gives vacationers access to all the beautiful scenery, marine life, deep sea fishing and water activities that Bahias de Huatulco, Mexico has to offer. For more information call 52-958-589-4161, or visit them on the web at White Shark Sport Fishing & Tours. They are a Canadian owned and operated adventure company for holiday visitors to Huatulco. They run a variety of tours to suit every level of experience. Enjoy a tranquil 1/2 day river float, horseback riding, waterfalls trip, or a full day adrenaline filled white water rafting excursion. Their tours and scooter rentals are safe and fun for everyone! For more information call 52-958-581-0197, or visit them on the web at Aventura Mundo. If you’re in the mood for some amazing seafood, be sure to check out Azul Profundo located inside the Camino Real resort. Their self-titled Thai-Mex fusion includes some traditional French influences that result in a well balanced seafood menu. Although there are some alternatives, this is absolutely a seafood restaurant and they showcase it well. For more information call 52-958-583-0300, or visit them on TripAdvisor at Azul Profundo. Terraza offers a ‘fresh catch’ seafood menu with quality that doesn’t go unnoticed. Their ever-changing menu makes it difficult to recommend any one dish in particular, however, both the seafood and high quality steak makes this an excellent dining choice. When you visit, the menu for the day is available in both English and Spanish, which removes the guess-work for those still trying to perfect their Spanish. For more information call 52-958-587-1157, or visit them on the web at La Terraza. This restaurant offers a succulent selection of regional, domestic and international cuisine. In addition to their standard menu, you have the option of choosing from their Presence Menu, which is a fusion of the best dishes found throughout the Quinta Real hotel chain. Las Cúpulas restaurant is located just off the Quinta Real lobby in Huatulco, Mexico. Its prime location, perched high atop a cliff, gives you amazing views of Tangolunda Bay. For more information call 52-958-581-0428, or visit them on TripAdvisor at Las Cupulas. Finca De Vaqueros is a ranch style barbecue joint offering well priced meals and an experience you won’t soon forget. This grill house offers a laid back dining experience perfect for anyone looking to have a good time. As you dine, it is typical for your waiter to bring out complementary chilled mescal adding to the festivities. In fact, the staff at Finca De Vaqueros are known for breaking out the Mexican karaoke as the mescal flows. For more information call 52-958-587-0807, or visit them on the web at Finca De Vaqueros. When it comes to restaurants in any area, it’s the locals that know where to go! Located near Tangolunda Bay, Café Viena offers a mouth-watering menu that has made them a top contender amongst the locals. Their interesting blend of Austrian and Spanish dishes creates a unique menu that pleases a variety of palates. For more information call 52-958-5760, or visit them on the web at Cafe Viena. The trendiest night club in town, normally busy on Fridays and Saturdays, is where the locals meet and mix with the tourists, which creates a nice international atmosphere. The music selection ranges from Spanish rock from the ‘80s and ‘90s, to reggaeton, to club and commercial house music. 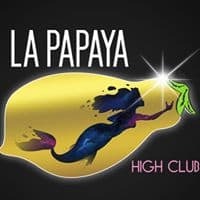 For more information call 52-958-587-1011, or visit them on the web at La Papaya. This exotic restaurant-bar in La Crucecita has already become a tradition in the Bays of Huatulco. Live music is presented on some weekends and customers can spend the evening sitting back on a comfortable sofa, relaxing on a cozy chair or dancing to everything from rock and reggae to salsa. For more information call 52-958-587-0702, or visit them on the web at La Crèma. Tucked away on the secluded coastline of Conejos Bay, surrounded by golden sand, extraordinary rock formations and sapphire waters, this fabulous AAA Four Diamond resort offers adults an escape to serenity, romance and unlimited luxury. Guests can choose between 8 gourmet restaurants and 4 stylish bars, no reservation or wristbands are needed. The hotel also has a nightclub and daily entertainment staff. For more information, pricing, or to reserve your room, visit Secrets Huatulco Resort & Spa. This hotel is on Tangolunda Bay in Oaxaca and features a full-service spa and 6 gourmet restaurants. Enjoy spacious rooms and suites, six swimming pools, including a large infinity pool, and an Explorer’s Club for Kids. Six bars are also available at the Resort Dreams Huatulco. On-site dining options include Italian, seafood, Pan Asian and traditional Mexican cuisine. Go far beyond the all-inclusive experience with Unlimited-Luxury®, where nearly everything is included. For more information, pricing, or to reserve your room, visit Dreams Huatulco Resort & Spa. This luxury beachfront hotel offers guests ultimate relaxation, unrivaled hospitality and elegant accommodations. Indulge yourself in the hotel’s large variety of amenities and facilities. Experience the beautiful natural surroundings from one of the hotel’s pools, plan the day’s activities with the on-site tour desk or enjoy a gourmet meal at one of the hotel’s restaurants. The Huatulco Quinta features an elegant fusion of Mexican and Moroccan architecture, complete with luxurious amenities. Hand-painted furniture, marble bathrooms and private balconies, every stay is sure to be memorable. For more information, pricing, or to reserve your room, visit Quinta Real. Quinta Bella Huatulco is located in Santa Cruz Huatulco, 29 miles from Mazunte and 27 miles from Zipolite. Guests can enjoy the on-site restaurant. Free private parking is available on site. Every room comes with a flat-screen TV. Some units feature a sitting area where you can relax. Enjoy a cup of coffee while looking out at the sea or mountains. The hotel also provides bike rental and car rental. For more information, pricing, or to reserve your room, visit Quinta Bella. Situated near the beach, this hotel is within a 15-minute walk of Chahue Beach and Marina Chahue. 2 outdoor pools, a restaurant, and a bar/lounge are available at this hotel. Free WiFi in public areas and free self parking are also provided. Other amenities include spa services, concierge services, and dry cleaning. For more information, pricing, or to reserve your room, visit Princess Mayev. 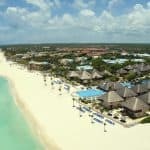 In need of a vacation and I believe I might have found my next Mexican Beach Travel Destination! You make Huatulco sound very delightful. Usually end up on the Gulf/Atlantic side. Think its time to try out the pacific side! Thanks for all of the helpful info. The water will be more refreshing on the Pacific side 🙂 You will love Huatulco! Let me know if you need any further information, and thanks for visiting Huatulco Vacations. Tammy, horseback riding on the beach cannot be beat. I love it, and know you would too. This is a great place in Mexico without all the crowds. You’ll have a blast. Thanks for reading! Travel Blogger here 🙂 I have been looking at other travel blogs, just to see what is out there. Yes, maybe we can work together. That sounds like a great idea. Travel is endless, that is for sure. I love beaches, and have been a LOT of places, so this is perfect for me 🙂 Thanks for reading! That looks like a really fun place to visit! 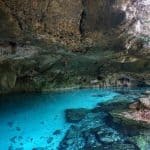 We have been in Mexico couple of times, but have never heard about this hidden gem. We are currently planning our family vacation and this place brought my attention. It looks like there are a lot of family activities to pick from. Do I understand correctly that this place does not have as much tourists compared with other vacation destinations in Mexico? You’ve done a great job with this article I can’t thank you enough. I’m an aspiring traveler so I’m noting down all the best spots that I want to visit. The fact that the best time to visit Huatulco is in October through to February works best for my schedule. I’m in New Zealand and enjoy these beaches but I’m looking for ones even better! Thanks for all the pictures too. You are very welcome Brandon and I am glad you found my post on Huatulco Vacations helpful for you. Please let me know if you need anything else. Hi Leahrae. What an incredibly beautiful looking place on our planet. I would definitely be interested in the scuba diving activity. This is something that I have wanted to do for a long time. You listed some night-time spots and I was wondering if there were any cultural events as well? Thanks also for your fabulous site. It’s a pleasure to go on a mini-travel to all the locations that you have reviewed. Thanks for visiting Huatulco Vacations Brian. Yes, you will find that there are quite a few cultural events going on in Huatulco. Too many for me to list. A good place to find them is at viator.com. Thank you so much for visiting! Looks like a nice spot to vacation. We’re just went through our third Nor’easter in the past 2 weeks. It’s getting old. I live in a beach community, but can only enjoy the beach in summer. Looks like there are beautiful beaches there and can’t beat temperatures in the 80’s. Looks like I’ll have to renew my passport. Thanks for the information! You are very welcome Kevin, and yes, get busy on the passport. That can take a few months to get back. Thanks for reading Huatulco Vacations. How are the waves in Huatulco? Usually Pacific coast beaches are good surf destinations and that would be a plus for me if I could surf while visiting. Huatulco really does look beautiful so may just have to go even without surfing! I like diving too so that is a huge plus! You can surf there. They do have some rough waters. My son surfs, so I know what a plus it is to be able to surf while vacationing! Thanks for reading about Huatulco Vacations. Show me a beautiful beach destination, and I will show you where I want to spend my next vacation 🙂 I just love beautiful beaches with their clear waters and whites sands. My dream is to live close to a place considered a beach vacation destination. The video shows the place to be a family friendly destination too which is good for someone with young kids like me. The safety warning is a little of a bummer though, but it’s good that safer alternatives of moving around are mentioned. I have never been to Mexico, but it’s definitely on my list! Thanks for sharing! I have been to Mexico many times, too many to count. Always with my son in tow. I think that if you are aware of your surroundings and travel safely, then everything will be fine. Huatulco is a great beach destination with so much history as well! You will love it! How lovely – I could do with a beach holiday. I liked the activities offered around the place, particularly Hagia Sofia. Nature is the best go-to holiday I think. It is quite different to anything we have here in Victoria Falls. Thanks for reccomending things to do and suggesting various holiday destinations. You are welcome Tracy and thanks for visiting Huatulco and BeachTravelDestinations.com. Wow! An amazing post you have here. I feel like I could book a trip right now. The information is very thorough and I feel well taken care of with the presentation that you have here. Its too bad that they have travel warnings for Mexico as spots such as Huatulco are so enchanting and pristine. 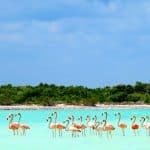 Well, thank you for this post that you have written, I will share it with friends or family who wish to vacation or visit there! Glad you enjoyed Camille. Let me know if you have any more questions about Huatulco and the Riviera Maya. Paradise! I’m seriously looking into this as a vacation destination, and your post was just lovely to read. 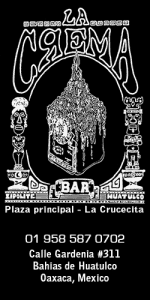 I especially like the idea of going to La Crucecita. I love the idea of shopping, relaxing with a cocktail at the sidewalk cafes and tasting the authentic Oaxacan cuisine. I’m a little concerned about the safety of travel, but as you say, taking first-class buses during the day should be fine. Thanks for this great post in the middle of a snowy New York winter! You are very welcome Amy. 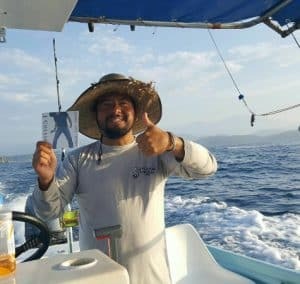 Glad you enjoyed reading about Huatulco! Sign me up! I would love for my family and I to get out of freezing New England! This place looks very nice and it would be amazing to visit. I love the words “All Inclusive”! Maybe this will be a future destination for me! Yes, you and your family would love it. All Inclusives are great! Just pack your bags and go. Huatulco is a wonderful place, you will love it!